What currencies does Projetex support? Answer: Projetex supports all currencies. You can add any currency you need. For this please go to the "Corporate Settings > Currencies" page. 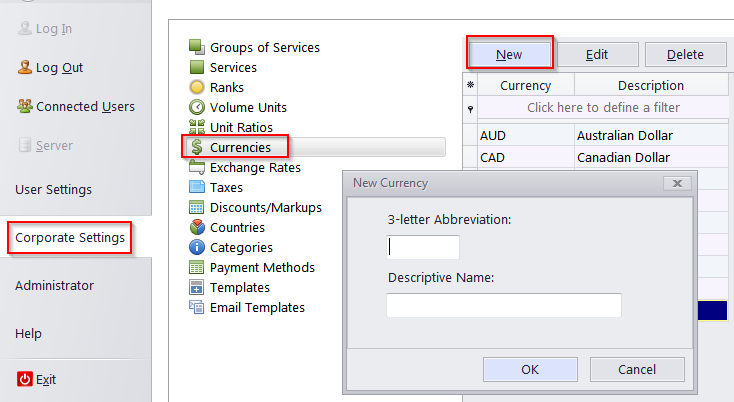 Then click the New button and enter a currency's 3-letter abbreviation and a descriptive name to the appropriate fields.